Trust in the police has hit a major downwards spiral with rural communities refusing to report incidents over feelings they are not understood or dealt with effectively. This was according to the 2018 National Rural Crime Survey which said those living and working in rural areas were ‘living on the edge’, with many in fear of crime and suffering emotional strain, stress and a loss of confidence. It suggested only 27 per cent of respondents thought their local police was doing a good job – 11 per cent lower than three years ago – with others slamming issues such as fly-tipping and speeding a major crime factor. Julia Mulligan, Police and Crime Commissioner for North Yorkshire and chair of the National Rural Crime Network, said the survey must be a ‘wake-up call’ going forward. She said the feedback ‘simply cannot be tolerated’. Ms Mulligan said: “These results are stark and worrying. Crime is up; anger is up; and frustration is up." “Trust is down. Those rating the police as good is down. 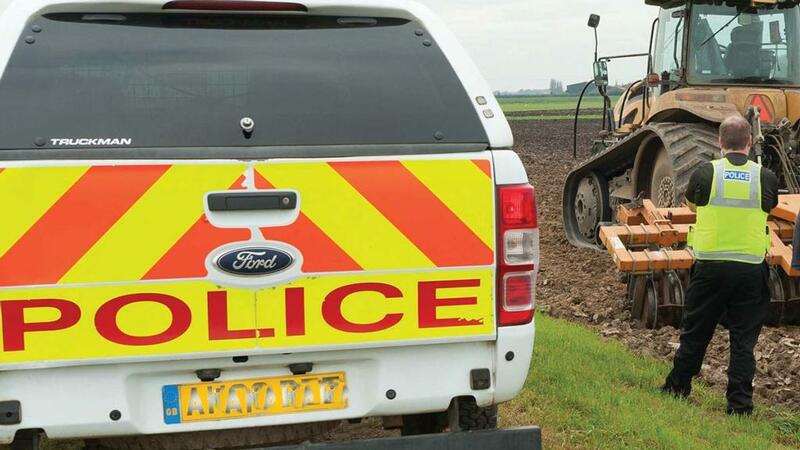 A third of rural people also said crime had a moderate or great impact on their lives, with 69 per cent of farmers and rural-specific business owners admitting they had been a victim of crime over the past 12-months. 60 per cent said they were fairly or very worried about becoming a victim in the future. It came as the figures suggested the average financial impact of crime on rural-specific business owners was £4,800, up 13 per cent from 2015. Ms Mulligan said rural communities should not have to put up with sub-standard services ‘just because of where they live’. She added policing priorities were ‘often elsewhere’. “Every decision affecting national policing moving forwards, from funding to safety and security, has to be set against the findings of this report,” Ms Mulligan said. “This report needs to be listened to in the future when decisions on funding are being made, we can no longer continue to see funding being sucked from rural areas to urban.